Our 2017 Summer Intensive was a tremendous success! Read about the program here and how you can participate in the next one, occurring in 2018. Company dancer Lauren Buchardt leading the students in contemporary. “The days are laid out really well, focusing on different elements required for ballet. Pilates at the start of each day was really intense but so beneficial. The barre and center work really helped students to take the time to push their skill level, perfect the movements, test their balance and build muscle memory. We were taught performance elements as well as technical movements as part of variations, and how to tell a story and portray a character through movement. Everything I learned from the balletproject(d) dancers has been so helpful, they are so inspiring and encouraging and I’m so grateful I got this opportunity at such an early stage of learning ballet! 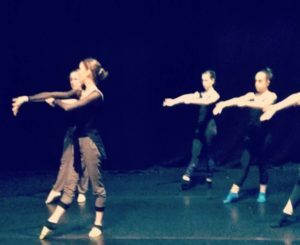 Our students worked together to make their own choreography – we loved watching them perform it for their parents so much we had them dance this piece twice! The performance of Illuminated Passages was so beautiful and as a student really showed what we were working towards, what can be possible. The contrast of classical and contemporary was really interesting and showed how diverse they are as dancers and how diverse the medium of ballet can be. We hope to bring more dance education, instruction, and performance to Ireland in 2018. 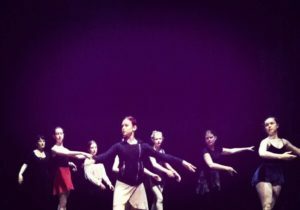 Professional instruction is crucial to aspiring dancers, and your donation to ballet project [d] helps us reach more young dancers in Ireland. Please consider making a donation today.